One of my players came up with a very cool idea for the background of her character. Because the campaign was still in the very early stages of development it also gave me a unique opportunity to immediately build her thoughts into the setting with zero tweaks or changes necessary. Because we are just coming out of a cycle that had us jumping systems and campaigns every month or so she was very reluctant to spend the money on the ACKS book. And it was understandable. Having her spend $40+ on the book only to have us change games by the time she was holding it in her hand seemed rather rude. To make up for it I put together a booklet for her character. 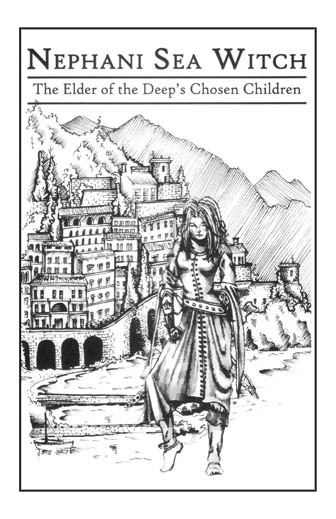 It includes all the class information, the brief bit of description in how it fits into our setting, and since she is a spellcaster I included descriptions of all spells normally found in her repertoire. She was happy with the final result. 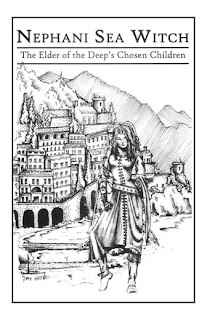 Below is the link to the 31 page 8.5" x 5.5" booklet that contains all information to play a sea witch in an ACKS campaign. I am also including a link to something I call "Behind the Curtain". I've had some questions about how I came up with the costs and assignment of powers to develop the character classes. So I am writing up a short page with each class giving a brief breakdown of how the Build Points and Custom Powers are spent along with an even briefer explanation of what I was thinking.